March is drawing to a close, which means that next month’s free games for PlayStation Plus and Xbox Live Gold Xbox Live vs. PlayStation Plus: What Do You Get With Each? Xbox Live vs. PlayStation Plus: What Do You Get With Each? If you're got a PS4 or Xbox One, you've probably thought about subscribing to PlayStation Plus or Xbox Live Gold. Let's see what they offer gamers for the price. Read More subscribers are inbound. Here are the titles you can look forward to playing on your console next month! Microsoft gives out four games per month: two for Xbox One and two for Xbox 360. Thanks to the One being backwards-compatible, you can play all four games on the newer console, which is a nice touch. The first game on each system is available on the first of the month, while the latter become available on April 16. Xbox One first gets The Wolf Among Us, an adventure mystery game that brings classic fairy tale characters into the modern age (yet it’s not for kids!). The other title is Sunset Overdrive, an over-the-top third-person shooter open-world game from Insomniac, creators of the amazing platformers Ratchet and Clank. This was one of the Xbox One’s earliest hit exclusive titles, so if you missed it back then it’s great to get for free now. Xbox 360 users receive Dead Space, the first title in the outer space horror series, and Saints Row IV, a ridiculous Grand Theft Auto-style game that lets you do whatever messed-up things you’d like. While Xbox has an amazing month, PlayStation is a bit lackluster. PS4 owners are getting Dead Star, yet another twin-stick space shooter for your collection, and Zombi, a port of a mediocre Wii U launch horror game; it was better on Wii U 7 Ways The Wii U Is Better Than The Xbox One And PS4 7 Ways The Wii U Is Better Than The Xbox One And PS4 While the battle between the PlayStation 4 and the Xbox One rages on, a third competitor watches from the sidelines: the Wii U. Read More due to the GamePad. I Am Alive, a survival game, is hitting PS3 along Savage Moon, a tower defense game that’s over seven years old. Finally, those with a Vita PlayStation Vita Slim Review And Giveaway PlayStation Vita Slim Review And Giveaway Is this Vita Slim (also known as the Vita 2000) better than the original? Read More will receive A Virus Named TOM, an indie puzzle game, and Shutshimi, a shoot-em-up where you play as a fish (which is worth checking out for the weirdness factor alone). 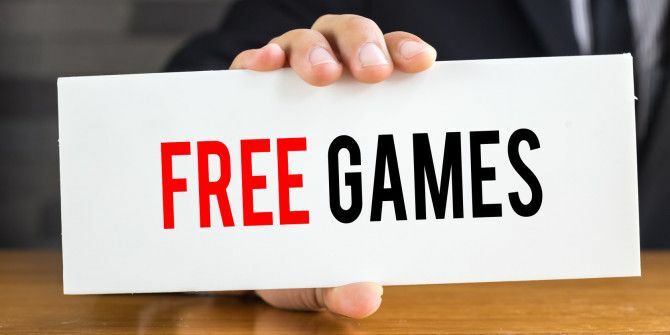 What do you think about this month’s free games? Sound off with your thoughts below!